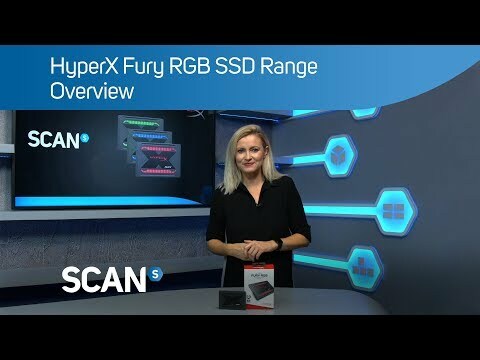 HyperX Fury RGB LED 240GB 2.5"
Product Overview Boost your system’s performance and style with the HyperX FURY RGB SSD. It dazzles with its smooth, stunning light bar and can also be daisy-chained to other RGB devices to sync colours and effects*. 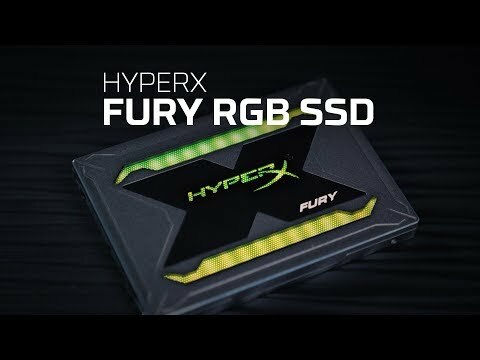 Cutting-edge 3D NAND and a Marvell controller give the FURY RGB incredible speeds of 550 MB/s write and 480MB/s read** while also making the drive more durable and efficient. FURY RGB is aggressively styled with a top case designed to accentuate its lighting.